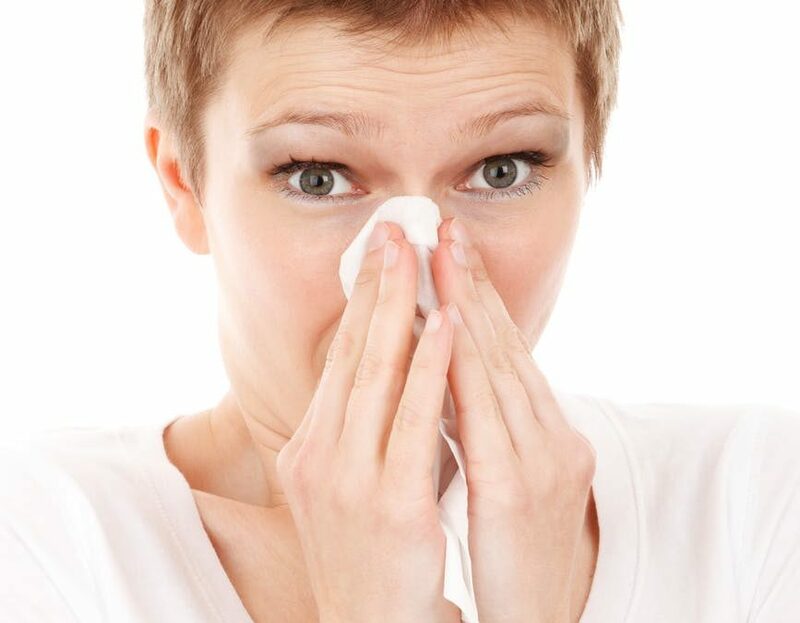 Unfortunately, cold and flu viruses are extremely catching, and we all get sick at times. However, there are some great ways you can prevent sickness in your home. While we don’t guarantee that you’ll ward off every sickness, the cleaning tips below will certainly help keep your home bug-free. 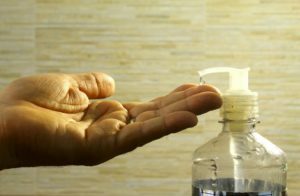 Whether you or someone else in your home is currently ill, or you simply want to keep the germs at bay, here’s how to prevent sickness in your home. Disinfecting the surfaces in your home on a regular basis is one of the easiest ways you can prevent sickness from spreading. Did you know that the cold virus can live on hard surfaces in your home (light switches, TV remotes, and more) for 24 hours? That gives you plenty of time to catch a cold! To avoid this, it is extremely important to ensure all surfaces are disinfected. If there is a person currently sick in your house, it is important to pay special attention to their bedroom and bathroom, using anti-bacterial cleaner on all surfaces. Top tip: after disinfecting the surfaces in your home, wash all cleaning cloths straight away to kill any germs. If you’ve mopped the floors, soak the mop head in a solution of ½ cup of bleach and one gallon of water for 15-20 minutes. For a full walk-through on how to clean your bathroom thoroughly, click here. 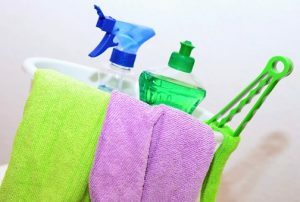 We’ve written an article on bathroom cleaning tips and advice from the professionals. Whether you’re preventing sickness in your home or not, this article is great for keeping your bathroom clean all week long. When you or a family member is sick, toothbrush holders can become one of the germiest spots in your home. So, to prevent sickness from spreading any further, we would advise giving your toothbrush holder a thorough clean. You can either put it in the dishwasher (if it’s dishwasher-safe) or handwash it using hot, soapy water. 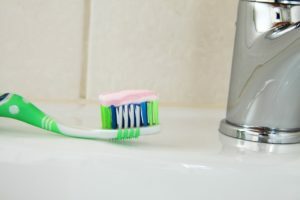 We recommend cleaning your toothbrush holder out once or twice a week. This will help prevent sickness from spreading and could even stop you from getting sick in the first place! Unfortunately, children can get colds and stomach bugs on a regular basis as their immune systems learn how to cope with germs. However, these bugs can often spread around your home. So, it’s important you disinfect everything thoroughly to prevent getting sick yourself. Plastic toys and stuffed animals will be dirtier than normal if your child is sick. So, it is essential you clean them thoroughly. You can easily kill any germs or bacteria on hard plastic toys by washing them thoroughly with soap and warm water. Then, to sanitise them we recommend using a disinfectant spray and a microfibre cloth. For stuffed animals, pop them in the wash and they will come out germ-free. When you’re sick, one of the only things you want to do is lie down on the sofa and binge-watch TV all day. We all do it and actually it’s a great way to encourage our bodies to rest. However, the germs you’re trying to get rid of will be thriving on the surfaces you touch. In fact, cold and flu germs tend to live longest on plastic surfaces. So, your remote could actually be making you sicker! 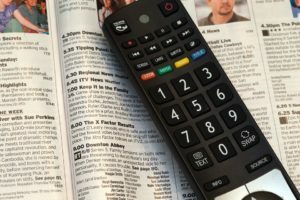 It’s likely that cleaning your TV remote doesn’t make it onto your regular list of cleaning chores, just like these other commonly missed things in your home. However, it is one of the items in your home harbouring the most germs. So, it’s important you clean it regularly. To clean your TV remote, use a microfibre cloth and disinfecting spray or an antibacterial wipe. Thoroughly wipe down the remote control to disinfect it. While you’re at it, why not use the same method on your computer keyword, tablet, and phone? When you’re sick, you tend to sweat a lot more than you otherwise would. So, it’s important to strip down your bedding and gather any ‘sick’ clothes and bathroom towels for washing. Wash everything on the highest temperature as it kills any germs. This is one of the best ways to get rid of sicknesses in your home fact! Don’t get back into a germ-ridden bed tonight. Instead, wash everything and enjoy clean sheets, clean pyjamas, and clean towels. Did you know that your mattress could also be harbouring sickness? Although you may not feel like it, cleaning your mattress could be another great way to rid your home of cold and flu viruses. As you sleep, your sweat can sink through the bed sheets and onto the mattress. If you haven’t given your mattress a thorough clean lately and opened the windows to air it out, today is the day. You can find all our mattress cleaning tips in this article. When there is sickness in your house, it is important you empty all rubbish bins and waste baskets in your home as regularly as possible. Waste bins are often full of tissues and old medicine packets, the perfect place for germs to culminate. So, be sure to empty all bins in your home a couple of times a day to help keep your home free from dirty tissues and other cold and flu germs. Once you’ve emptied the bins, be sure to disinfect them to help kill any germs that may be remaining. One of the worst things you can do when there is sickness in your home is neglect your own personal hygiene. Keeping your hands clean is just as important as maintaining a clean house – particularly during cold and flu season! To wash your hands properly, rinse hands with warm water and then work soap into them for at least 20 seconds. You should wash your hands thoroughly after cleaning, using the bathroom, before eating, and whenever you’ve been in contact with a sick person. Are you too sick to clean your own home? Why Bother Cleaning’s domestic cleaners are here for you!